Back in the Brownies, I learned to tie a parcel. One evening we trooped into the church hall with brown paper (brought from home and saved from the last parcel that arrived in the house) and string. After the toadstool gathering, the salute and the promise, we set to on empty cereal packets and shoe boxes with just that brown paper and string, a slip knot, round turns, half hitches and reef knots to finish off. Oh and scissors – proper sharp scissors and 20 little girls bursting with excitement. At the end of the evening we handed in the scissors and took our parcels home with the reminder to untie them carefully and save the paper and string ‘for next time’. This was the Health and Safety and environmental thinking of the day! I can still tie a neat parcel, but today I’m back at my desk drawer and pondering the problem of sellotape. For those outside of England – Scotch tape, sticky tape, plastic adhesive tape. And there you have it. 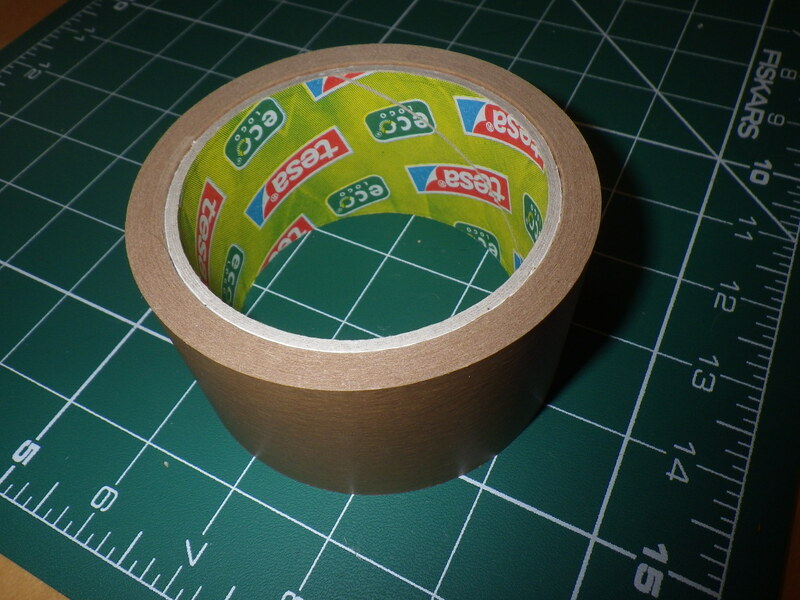 It’s taken me almost all my post-Brownie years to realise that Sellotape is plastic and in that time I have created a much loved and appreciated collection: double sided tape, parcel tape, masking tape, electrical tape and all in several different widths. All of it plastic, all of it non-biodegradable, all of it potentially harmful to our environment. It’s New Year and I’m sure I’m not the only one full of good resolutions, but what to do? Return to Brownie skills? Get rid of the collection and how? Or use up this store? don’t make sellotape the first choice- think before reaching for the roll of sticky tape – can the job be done another way? This thought-provoking post from Patricia arrived on the same day that I received the parcel in the photograph above, from a “green” grocery store. All that plastic tape made me wince. I carefully peeled it off and the cardboard went into the compost, but the tape has to go to landfill, I think. 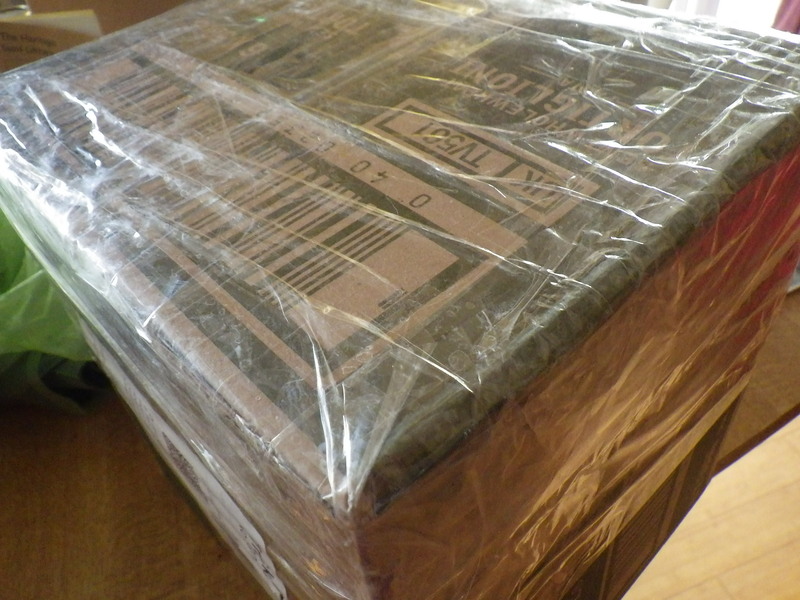 When I am packing a parcel myself, I use paper parcel tape and, increasingly, I see that parcels arrive sealed with this. And, of course, there are marvellous companies who ensure that all their packaging is plastic-fee: All Natural Soap Company and Roasting House are two who are helping me keep my consumption of single-use plastics down, although I know how privileged I am to be in a position to make these choices.